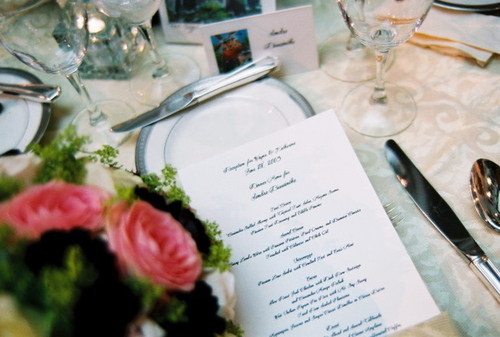 Each guest at this wedding received a personalized menu with a detailed description of the celebratory meal to come. The placecard subtly indicated the entree choice to the waiter using one of three works of batik art hand-painted by the bride's uncle. Photo courtesy Craig Strong.